In November of 2011, Mojang officially released Minecraft, a sandbox-style building game with an adventure and creative mode. It allowed its players to build almost anything, anywhere, and challenged them to build bigger and better. The game has since been adapted to multiple platforms, including online multiplayer. What Does This Have to do with Your Kids? There’s a lot of backlash against games today, as people forget that they’ve been used as teaching tools since humans first started playing with rocks and sticks. Video games are no different — educational gaming was a staple of indoor recesses on rainy days in the early 90s, with some schools even adopting special computer time for students. Shareware products were full of demos of math and spelling games. The only thing that’s really changed is what the games look like, and how they’re marketed. You won’t see games like Minecraft and other survival-genre software advertised as educational outside of specialized teaching groups, but they can be a valuable — and fun – tool for teaching many different concepts. A redstone circuit is a structure that can be built to activate or control mechanisms in Minecraft. With redstone circuits, your child can learn basic ideas around how electricity works and build simple machines to help automate various tasks or make some jobs easier. Players learn how timing works, and more complex machinery requires calculations to get the wanted results. There are components that re-direct the signal, that only apply a signal when certain conditions are met, and that can delay a signal. Redstone circuits can be used to make powered railways, lighting that is activated at night, doors that open when the player stands on a pressure plate, traps, egg hatcheries, canal systems, and more. Some degree of planning is required for many of these machines, and instructions for different ideas are provided in YouTube videos and how-to sites. Minecraft is a great way to develop the skills that help children understand their relation to other objects, the distance from “Point A” to “Point B,” or which way is “North.”Being able to recognize one’s location based upon landmarks — natural or player-made — can mean the difference between success and failure, and help players return to their home base if they stray too far. By figuring out, for example, how far in square units it is from one shore to another, they can calculate how many blocks are needed to build a bridge. This skill can also be important for survival in Minecraft, as knowing how far that lava is going to flow before it will touch your child’s character can save virtual lives. Without a plan, it’s easy to get overwhelmed in Minecraft. Your child can learn just how important it is to figure out what their goals are and how to get there, which can be translated into real-life situations. Plans can take the form of blueprints for a build, or even a general idea of how they intend to get from one step of gameplay to a more advanced state – such as from relying on wood and stone tools, to using metals and diamonds. If you choose to set time limits on your child’s play time, it can be a great opportunity to get them to plan what they’d like to do while they’re playing in that session. Minecraft is all about solving problems. Your child will encounter many situations in which they’ll have to decide how they’re going to deal with a problem, like zombie attacks or a lack of food. This becomes especially important in figuring out redstone circuits, how to place them, and how to get the intended result. This is a game that encourages critical thinking because, for many things, there is a certain way that they will work and a good portion of the fun is making that happen. 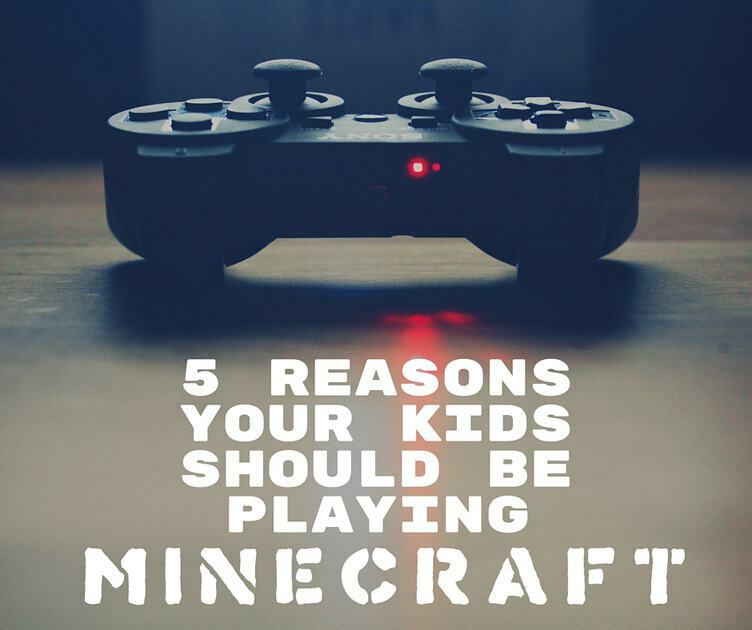 If your child has difficulty with mental calculations, or even just with math in general, Minecraft may provide a fun platform on which to learn. Think of the game as being on a big grid. Each square in that grid represents a square of space on the playing field. A build’s footprint may require a large number of those squares, or a small number, and in order to make a build work, your child is going to need to be able to calculate. If they want to make a certain building that is five squares wide by nine squares long, and they know that the blocks used to make that building can make stacks of 64 blocks, then they can figure out just how many stacks of block they will need to make that project , or how many total blocks, and how many stacks that translates to. Math factors into redstone circuits as well, especially with an item called a “redstone repeater.” which is used to delay a signal. Each repeater can delay a signal for up to .4 seconds. If your child wants their signal to activate once every two seconds, how many repeaters will they need to craft? How much redstone dust, wood, and stone will they need to craft the components and the items themselves? This just scratches the surface of all the ways that Minecraft can be used to teach. It’s already been adapted to educational use and is being used in schools to teach the concepts mentioned above, as well as teamwork and responsibility, among others.